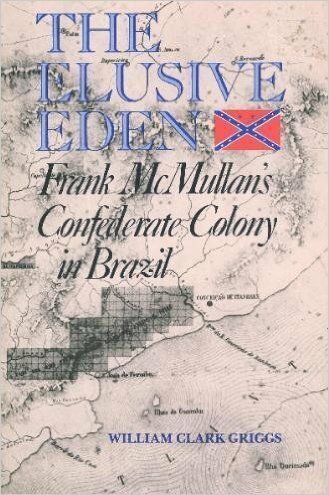 Following the Civil War there were some Confederates who decided, for various reasons, to emigrate to the Empire of Brazil. 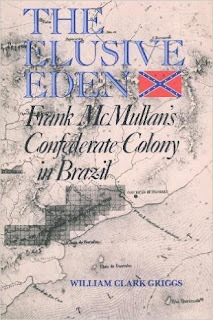 Among them was Frank McMullan, a Texan who arranged to bring over a hundred colonists to one of the last slave-holding countries the Western Hemisphere. The colonists endured the uncertainty of the Brazilian bureaucracy, the sinister machinations of the crew who was paid to take them to South America, and even a shipwreck. Once in Brazil the southerners found that things were not going to work out as they had planned. Many returned, but some stayed. McMullan secretly hoped to find a lost treasure in the mountains near the colony (in fact, this was why the area was selected). This idea was handed down to two others in the group and would remain an obsession for them. The writing is good, but slow in parts. It is also redundant regarding some facts. Still, an interesting (and forgotten!) chapter in American history.